TD Monroe Tells Us What It Is; and When It Is Used! 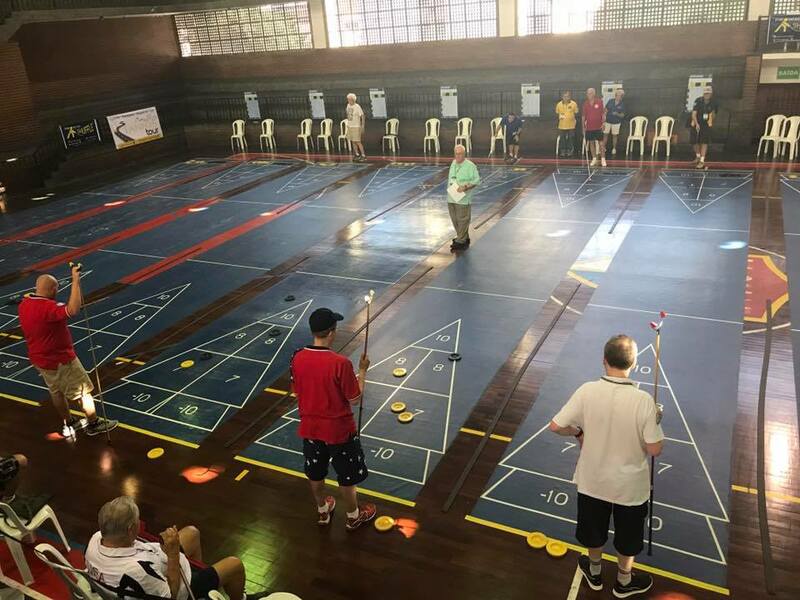 SPEED SHUFFLEBOARD: Speed Shuffleboard shall be used to break all significant ties remaining after a round robin. Significant ties shall be defined as those ties which alter the placement of the players in subsequent rounds. For example, if two players are tied for first place and the top two players from their group are to be moved into the same next group, then that tie is not significant and no speed shuffle round will be required. If, however, they cannot both be moved into the same next group, then the tie shall be deemed as significant and they will be required to break the tie with a round of speed shuffleboard.